Picking out the best resources, so on. This is why, Twitter has become a twitter marketing wonderland, through the human content festival for the well-being of real life as well. So, there’s no reason to ignore Twitter. It’s urgent to know every small business entrepreneurs how to drive traffic from twitter in terms of harvesting the benefits using it adequately. Since, it’s an extra-strong popular tool, powerful micro blogging platform and super vehicle of biggest traffic as well. It has a magical pipe playing role to grow audience engagement that makes a tidal flow of the traffic. If your analytics say that your blog is turned off to reach at the height of twitter traffic you desire, Or, if you are in search of the key techniques or an easy action sheet to approach the Twitter effectively so that it could leverage you to increase your quality traffic volume; then, here’s the that clean sheet for you to find your best practice key ways to discover your flood door of traffic. Pick out a perfect name and username of the profile that supports your product as well as keyword-friendly. A perfect profile is impossible, if you consider the whole traffic of the Twitter. So, be tactful regarding real target of your audience. Put the pure words considering only the audience who is a real user, influencer, collaborator or mediator of your product you deal with the blog. Spice up your profile using professional looking logo-image, wall-images that fascinate to the audience easily and they get understand what you are and what your aim is. Put your live blog URL in the profile, is a big pave of the traffic moving to your blog. You might use a professional graphic in the wall crafting with blog name or URL so far to build up your industry or blogging brand among the followers and content receivers. Promotion is solution to drive traffic using twitter marketing. In this purpose, try to provide your twitter link all of your friend circles, coworkers, existing customers, conversant and classified co-bloggers using their emails or SMS, and strive to grow a followers’ basement initially earlier than the unknown audience around the web. It’s a big job to accumulate your Twitter followers according to the same interest. In this regard, twitter search engine and your product keywords could help you find the content owners that deal the same niche you desire and make them your followers. Why an audience follows you, is same you expect from him. So, the ultimate interest is mutual. But it doesn’t mean that they are your over taker. The acute competitors will never follow you. The audience has come up ether figuring out the potential fulfillment as well. So, try to make a thanksgiving environment. And be keen to their interest in terms of their swapping back of your requirement likewise. If an audience does retweet your any content, do the same for his stuff. Rather sometimes keep you one step ahead of him retweeting his appreciable contents. It will provide him inference to help you back. Keep it up regularly so that you could be defined by the audience that you are his consistent helping hand. Make some selective sharp list of the Twitter followers on the basis of influencer, customer, mediator and newbie in the business. Select and categorize them who are strongly relevant to your content and regular as well. And, grow a mutual helping habit to grow relations in these teams first. Create a sweet and smart tweet within 140 characters. In fact, according to the Twitter-experts, 100 character tweet is the best effective length to find the audience response quickly. So, craft a tweet carefully using appropriate magnificent words to make it attractive and relevant. When you are going to tweet, it must be relevant to your link and need to be polished the total length as a profound solvent to the issue audience look for. Never keep the content links unnecessarily larger and bulk size. Get the help of Google link shorten or bitly.com to make the links pretty nice. A short link will make the tweet cleanly optimized and attractive to the followers to go click through. 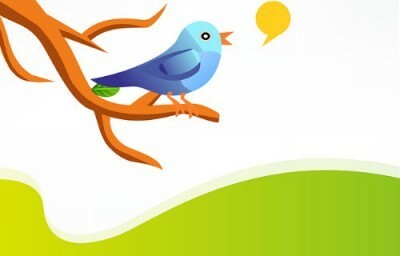 Air the tweets regularly and grow a high level confidence to the audiences that you are active on the platform. If there is no any post from your blog, no matter, share the old blog or retweet own or other stuff, or share the videos, images and blogs from others. It will grow your image of trustworthy and leverage you drive the traffic in your blog regularly. 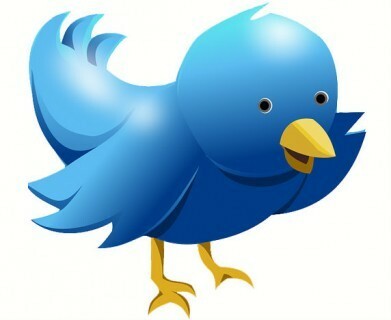 This is a big strategic approach how to drive traffic from Twitter. You might get ready of your tweeting, re-tweeting and favoring to the new Twitter followers at the pick hours, such as the hour before starting the working day, during lunch time, and the evening time as well. Obviously, these pick hours are hot enough to find the boil of your eggs that clever marketers used to take the chances. You could trial it for some days and get a note of the highly fertile times to continue the practice of golden traffic. Building up a mutual interaction is a heart-blood of the twitter approach. There are many events will grow from both parts to interact on the issues, such as when they tweet a good stuff, when they react or re-tweet on your stuff, or any time you might ask on any important issue that bears the same interest on the twitter marketing, so on. This type of interaction will generate some valued stuff for the followers of both sides, could boost your more followers and traffic to the money site. But never ask or try to chat an issue that’s not related to the topic. Never forget to Use Correctly Spelled Hash Tag, because wrongly done stuff will be going to the vain. Use phrasal keywords compacting or without spacing between words and put a hash(#) sign before the keywords. You might insert the hash tag any significant places of the tweet text. To make a suitable powerful hash tag, use a keyword that relates to the others’ valuable stuffs of the tweet, so that new followers could relate to you as well. Never use more than two hash tags in a tweet. You might use the search system of Hasgtags.Org for your valued keywords for hash tags. Since, hashtags are cute ways how to drive traffic from Twitter, so, to harvest rich from the tweeting campaign, hash tags should be relevant to the content. It will attract to the followers, minimize bounce rate and enrich the search storage relating to the others’ tweeted stuffs. So, relevancy means addition of value, and irrelevancy means disruption. While you are going to deliver your content, never forget that they seek how can be enriched their business from your authentic stuff and this is the reason they are followers. So, keep the every tweet up quite relevant, convincing and purposive to the interest of your followers. In this purpose, the relevancy will be ultimately come up in your tweet text from your blog or site link, if you are being habituated to the practice tweet crafting. It will leverage you authority building in the followers. It’s a strategic talent way to attract the followers in your tweet what you’d like to press them. Use an attractive image that reflects the profound meaning of the product you invite to be engaged. 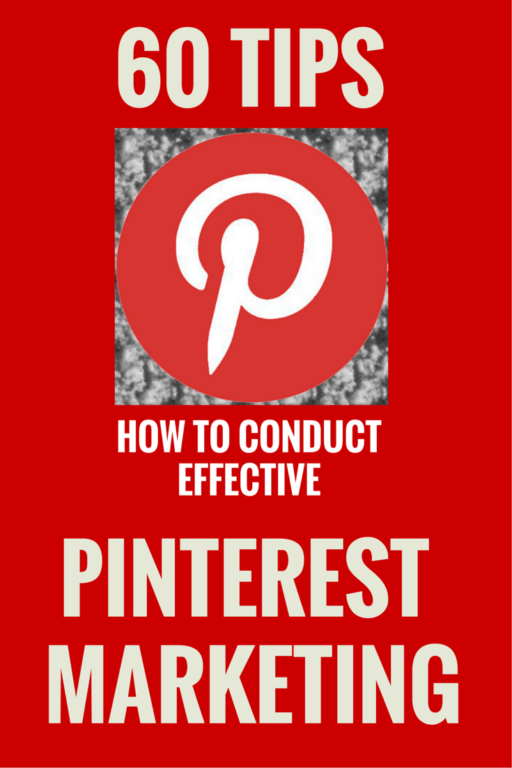 It’s best if you might use images from the blog posts appealing to the followers. Every retweet grabs the attention to the audience and makes a chance to find their retweet on your tweet as well. This is a common practice between the parties who really habituated and talent on the mutual tweeting culture among the twitter followers. You might use this chance to send your tweet directly to the specific customers or followers. In this case, you have to mention the Twitter id of the customer later of at (@) sign without space, such as ‘@customertwitterid’. Or you may go to the follower’s wall to pick the option from wheel function. This type of key techniques will increase your audience meeting in purpose of quality traffic driving to your money site. There are some keywords they drive the content to the useless basket. You never should use them in your hashtags, such as #with, #hashtags, #spam, so on. They will dump your content in the black ocean. So, avoid such practice in terms of traffic achievement. There are some third party apps or plugins that they do not leverage to practice hash tags, should avoid. Automatically tweets rather grow bored for the regular followers who find the tweets are repeatedly almost same. So, take care of it in terms of your traffic increment. Every sharing of your blog content should be useful to the followers.. You should avoid language what doesn’t deserve the followers at all. Language is a factor when blog content is not English that commonly used around the web. So, this type of purposive twitter marketing could bring up you better traffic, if you care the issue according to the followers digest. Research the issue, according to your content you’d like to share that how to be built up an image that reward you better traffic always. You are authentic, clean, great, cooperative, useful, caring, and sharing – are the adjectives of long practice to be felt by the followers so that they hang out on your blog by clicking through the links you share in the twitter. So, build your own loyal authority of the product you create in your blog to twitter followers. It’s required to take care of the search terms and hash tags in terms of driving your traffic even out of your followers could leverage you increase your quality traffic. Because every purposive audience looks for the useful content using the search terms and hash tags you care. You might use TOPSY.COM to check out the status of your search term. Yeah, it’s twitterfeed.com. You might use it configuring the tags you target to drive traffic, acquiring from twitter. So, you might take advantage of this way to find your more traffic on your blog or site. Twitter Search Engine is a great tool to research the tweeted stocks using the keywords you used in the tweets. It’s a powerful tool to be experienced on the twitter posts, twitter followers, search peoples and keywords you interested and find the tips how to drive traffic from Twitter using new approach further more. It could deliver you the stuffs what people just now talking about the topic of keyword you’ve used for the search. So, use this great tool to set out your right twitter marketing action to gain traffic using appropriate keywords or phrases. You might use Dig Dig on your blog to get the advantages of a great tool for your comprehensive tweet practice including other major social actions. It’s such an app that enables you to edit the text with hashtags and helps to post your tweet now or next time or scheduled time according to effective time you feel better. Eventually, try to be habituated and consistent in practicing tweets accordingly. But, never forget that you should make sure your blog posts to be rich enough and useful to the audience so that they intend to visit your site repeatedly. In fact, there’s no miracle solution how to drive traffic from Twitter one-kilo-per-day overnight. But, the above easy ways could leverage you to increase your traffic flow and gain enough more subscribers on your blog as soon as you could use the tactics properly. It’s quite functional to the efforts to be conducted patiently and constantly using the above methods. So, set your plan according to the key techniques above and start your twitter campaign to reach at your height. Then, you could come back here to tell us your final remarks. Or, do you have a successful journey on the Twitter? You might share your experience.